Thailand is developing a new 8 x 8 wheeled armored fighting vehicle, which has been named "Black Widow Spider". 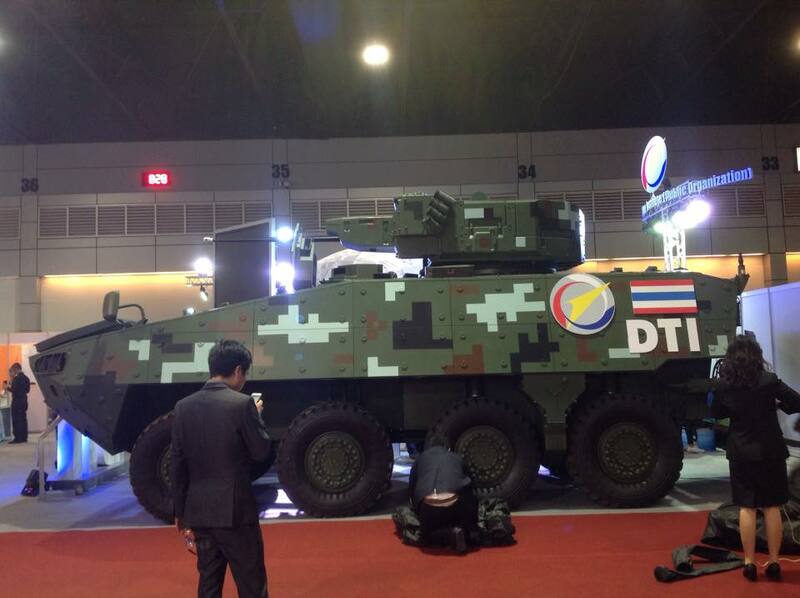 It was developed by Defence Technology Institute of Thailand with help from ST Kinetics of Singapore. It is said to incorporate technology from the Irish Timoney Technology Group, who already worked on other Asian wheeled combat vehicles such as the Taiwanese Cloud Leopard and the Singaporean Terrex. 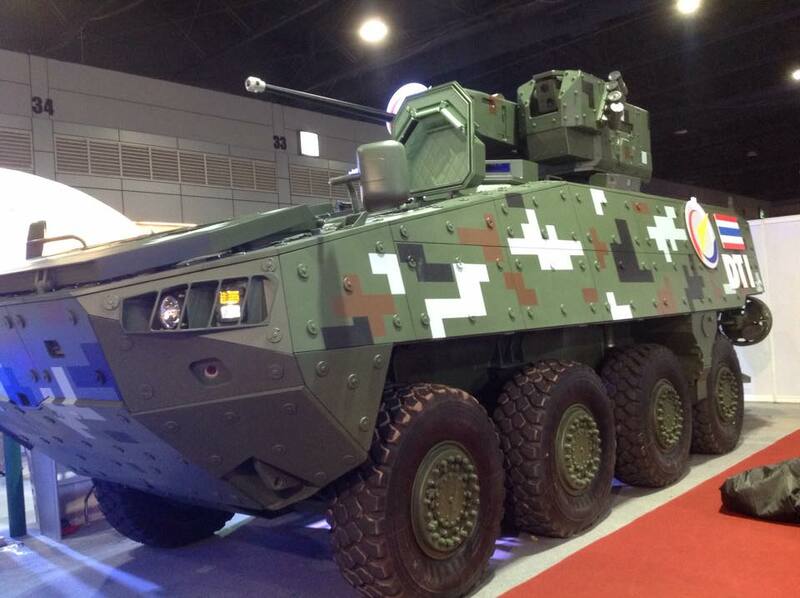 The current version of it was presented on the Defence & Security 2015 military exhibition in Thailand. The presented version of the Black Widow Spider is fitted with a remotely operated turret, which appears to be identical to the turret demonstrated on the ST Kinetic's Terrex II infantry fighting vehicle. The turret is equipped with a 30 mm Mk 44 Bushmaster II, a 7.62 mm NATO machine gun, optics for the gunner and an independent commander's sight, and a number of smoke grenade launchers. A number of photographs of the vehicle were already shown on the internet several weeks before the 2015 exhibition. An earlier prototype was presented in 2013, which however was lacking a lot of the features of the current Black Widow Spider, such as the composite armor, the unmanned turret, the splash guard and the propeller blades for amphibious operations. The Black Widow Spider presented at Defence & Security 2015 has a weight of 24 tons including the IFV. It is powered by a 450 hp diesel engine from Caterpillar. The vehicle has an operational range of 600 kilometers. 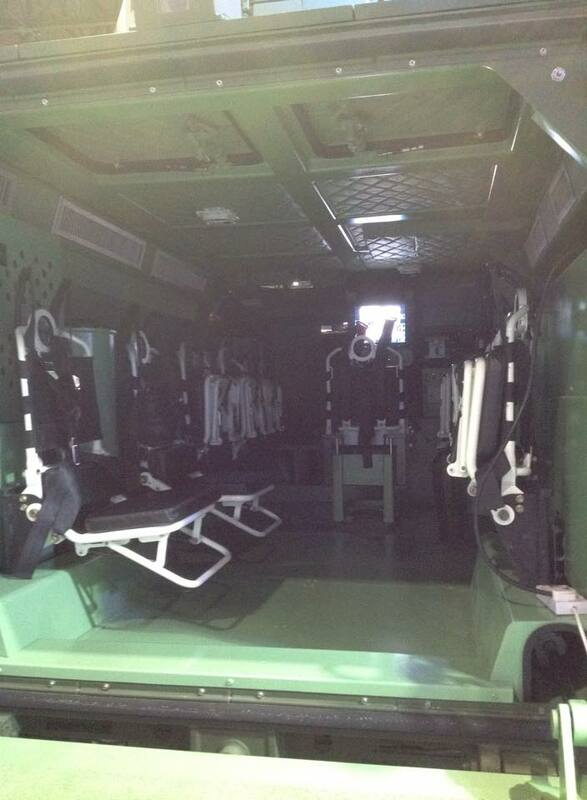 Seating is provided for the driver, the gunner, the commander and up to nine dismounts. 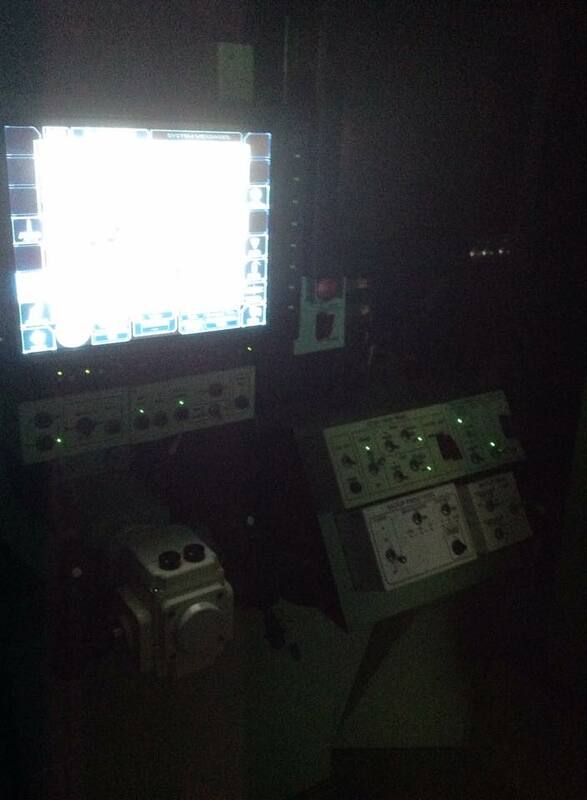 The battlefield management system (BMS) of the Black Widow Spider is made by ST Kinetics of Singapore. The composite armor used on the current version of the vehicle (previous prototypes lacked any sort of composite amor) is supplied by the Israel Military Industries (IMI). When fitted with the composite armor from IMI, the Black Widow Spider is protected against 14.5 mm armor-piercing (AP) ammunition in accordance with the NATO STANAG standard 4569. The gun used on the prototype IFV version is like the BMS also manufactured by ST Kinetics. The Black Widow Spider is the result of the Wheeled Armoured Vehicle Research and Development Project using the technical abilites and knowledge of the Thai army, the private industry and a number of research institutes in Thailand. The vehicle is an attempt of being less reliant on foreign manufacturers, which have shown to be problematic in some cases (such as the delivery of Ukrainian armor being troubled due to the conflict in the East-Ukraine). Apparently no official requirement and order was made by the Thai army yet, but this might change after the Black Widow Spider went through field trials. Everyone share their experience here and this is really nice to read different kind of theories related to same topic. Everyone placing their different opinion and it shows diversity. Appreciate this platform.